Today was a very special day for me. Navroze and I were very eager to get started early. We got rolling by 6 am.Navroze had to get to Chennai as early as possible to meet up with a friend of his there. 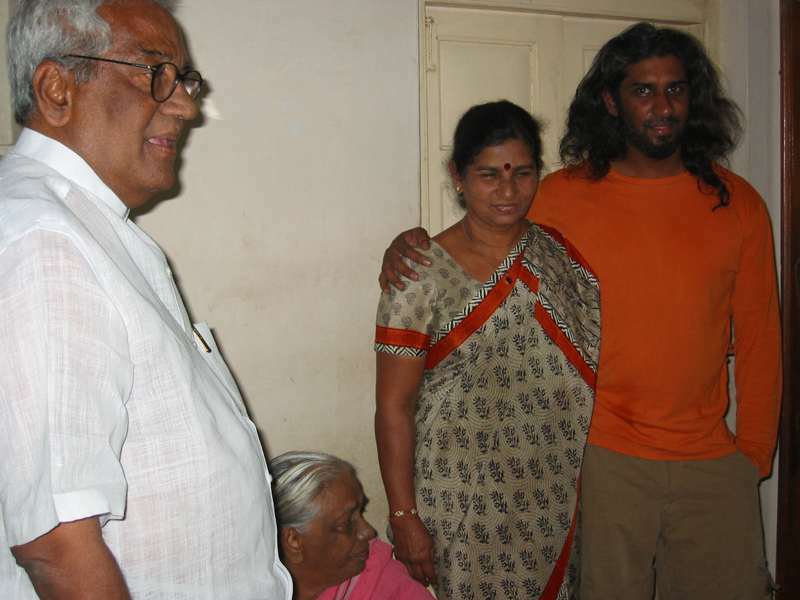 I had wanted to stop on the way in a town called Nellore (where i was born) to visit a very dear aunt Sarojini. She is my father’s sister and has been very close to me all my life. She has not been in good health and I was very keen on stopping by to see her. 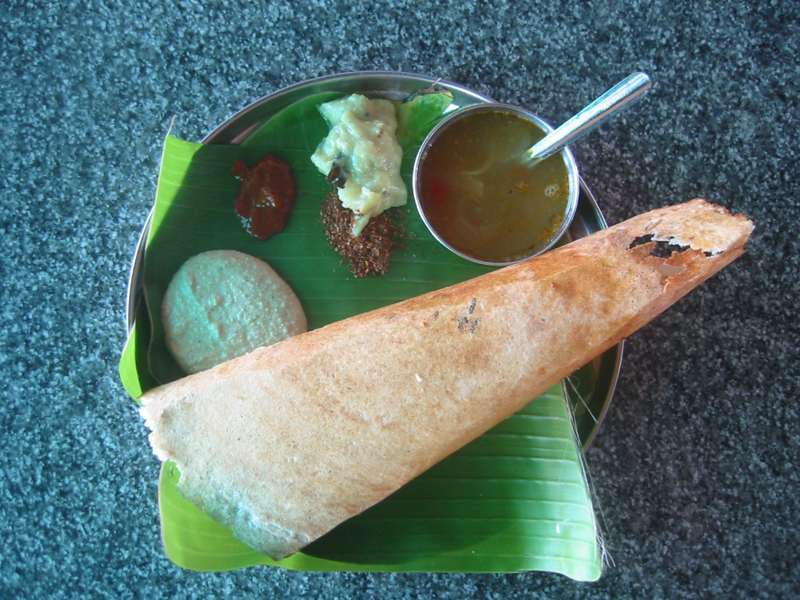 On the way there we stopped at a small restaurant outside a town called Ongole and had a dosa for breakfast. No more parathas, thank you! The roads were fantastic and we were covering the distance fairly quickly. 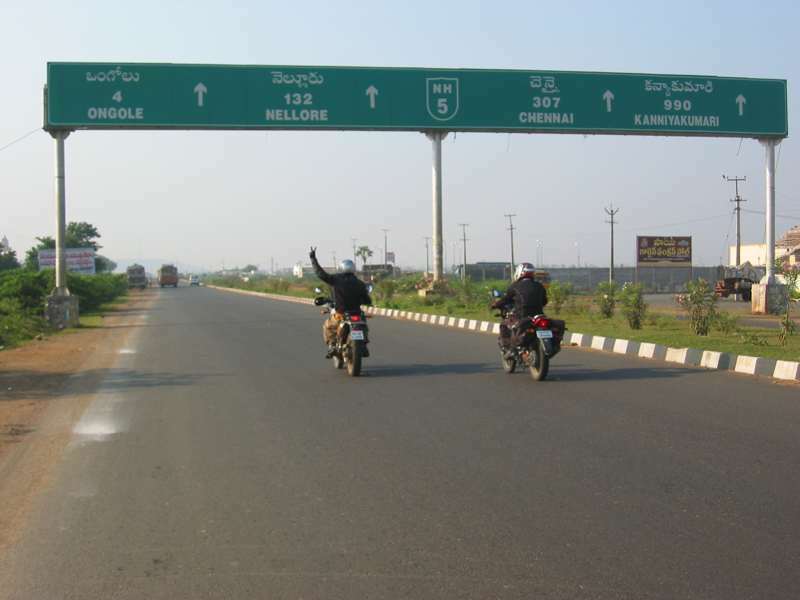 By 11am or so we reached Nellore from where I went in to town along with my brother Gautam.. Navroze carried on to chennai by himself. Dinesh was still behind. I went by to see my aunt and within 15 minutes or so, my parents dropped by. They live in Hyderabad and happened to have some political work to attend in that surrounding area and opted to surprise me there for a few minutes. It was lovely to see them and there was a lot of press as well. Just spoke to them briefly about our adventure so far and headed to my village Vakadu for lunch. This was the first time in my life that i was going to my village on my own. I have been before by car or bus but never like this.Caught up with Dinesh and my brother Ram and friends on the highway and proceeded to the village. We got to Vakadu which is about 20 km towards the ocean from the highway, by about 1 pm. There was an elaborate lunch spread. 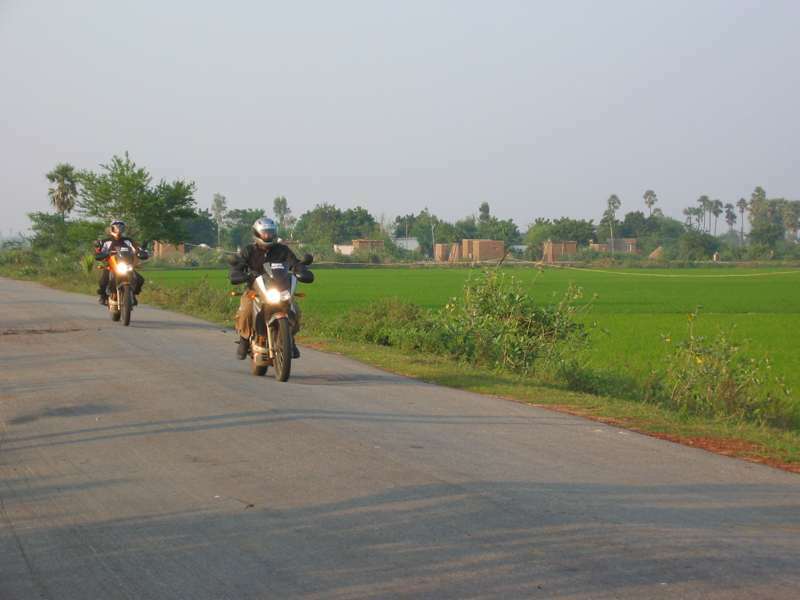 I took Rakesh around a few areas of the village where i had spent my childhood. There were a bunch of kids celebrating children’s day by participating in sports events and other talent programs. Their teachers recognised me and came over to talk to me. Soon, all these kids swarmed around me asking for my autograph. It was extremely bizzare and surreal as some kids didn’t even have a pice of paper and they asked me to sign their palms. They asked me sit amongst them and watch the program. It was very touching and soon i had to say bye to them to go have lunch. Had a quick shut eye after lunch and got going by 4 pm towards Chennai which is slightly over 100 km. 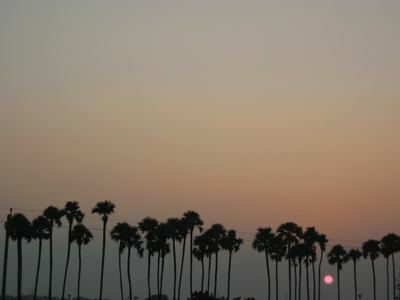 As we were leaving the Andhra state line, the sun was setting behind the palm trees that lined the road. By the time we reached Chennai, it was 6 pm and was already dark. The traffic into town was quite hectic. 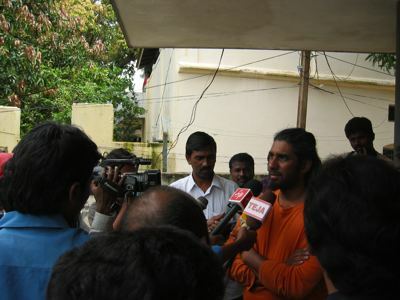 It took us an hour and half to reach our accomodation at Andhra club. There we were met with many of our friends from our early school years. I saw some friends that i hadn’t seen for about 24 years. Lot of reminiscing and laughter over drinks and dinner on the roof. We showed them some of the pictures Ameet had taken so far of our ride and got to bed around midnight. Another late night and short on sleep.